If you had told me in 2013 I would one day write about legal history and graphic novels I would have severely doubted the truth of such a statement, but suddenly this combination became a reality when I heard about an exposition at the Centraal Museum in Utrecht, my home town. The focuses of the exhibition are a sixteenth-century Dutch painter, Jan van Scorel (1495-1562), and contemporary artist Paul Teng. Together with writer Jan Paul Schutten Teng has created a graphic novel on Van Scorel and his investigation of a mysterious death in Rome. Pope Adrian VI, the only Dutch pope, reigned the Catholic Church for only one year. His death on September 14, 1523, came rather suddenly. Jan Paul Schutten and Paul Teng created a story using historical facts to create a fictional account of a murder investigation started by Van Scorel who suspected that his compatriot might have been murdered. Jan van Scorel, Sede Vacante 1523 is the title of both the graphic novel and the exhibition. The 80 page book has also appeared in an English version. In this post I would like to look at the creative process of two contemporary artists working with historical facts and their own imagination. Rumours that Adrian VI’s death was caused by poison have never been conclusively confirmed nor rejected as utter fantasy. The pope died after an illness of a month. An anecdote states that the Roman people thanked the physician who had taken care of the ailing pope. For the preparation of the graphic novel Teng and Schutten used historical sources. They looked carefully at the history of art in the early sixteenth century, helped by the collections of the Centraal Museum with several paintings by Van Scorel. 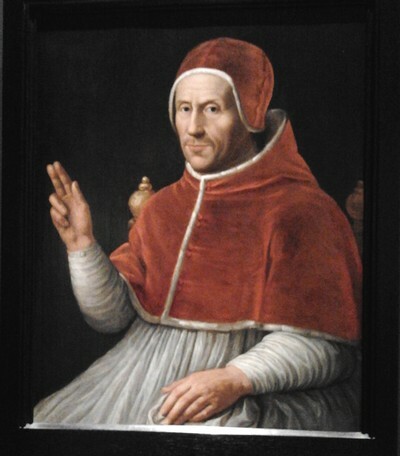 Pope Adrian VI (1459-1523) was born at Utrecht as Adriaen Floriszoon Boeyens. He studied theology at the university of Louvain, and he became a professor of theology at this university in 1489. In 1507 the Habsburg emperor Maximilian asked him to become one of the teachers of the future emperor Charles V. In 1516 he became the bishop of Tortosa in Spain. A year later he was created a cardinal. Charles V made him 1518 inquisitor-general of Castile and Aragón. Adrian became even the regent of Spain. During the minority of Charles V he had already been co-regent of Spain together with cardinal Francisco Jimenez de Cisneros. Until 1522 Adrian got a large part of his income from prebends at several collegiate churches in the Low Countries and Spain. The very number of prebends pope Julius II allowed him to have in 1512 was restricted to four. 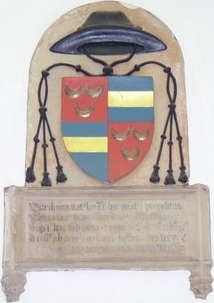 Adrian finally became a canon of four collegiate churches in Utrecht: he was a canon at St. Peter’s and at Utrecht Cathedral (St. Martin’s) , treasurer of St. Mary’s and provost of St. Salvator’s (Oudmunster). However, the actual number of prebends he held was larger, and two prebends were shrewdly changed into annuities. His canonry at St. Peter’s in Utrecht enabled him to designate premises within the immunity of St. Peter’s as the site of a large house, a palace really, where he would have liked to live in Utrecht in good time. Adrian never saw the palace still called Paushuize, “The Pope’s House”. Interestingly, a statue in the facade shows Christ Saviour as a reminder he was the provost of the Salvator collegiate church. R.R. Post unravelled the history of these prebends in a fine article published in 1961 [‘Studiën over Adriaan VI. De beneficies van Adriaan VI’, Archief voor de Geschiedenis van de Katholieke Kerk in Nederland 3 (1961) 341-351; online at the Trajecta portal for the ecclesiastical history of the Low Countries, with digital versions of five scientific journals in this field]. There is a clear paradox between Adrian VI’s reputation as a pope who wanted the Church to live humbly, without unnecessary adornments and wealth, and his personal history in which he combined a large number of offices and accompanying revenues. In one of the scenes in which Teng depicts a meeting between pope Adrian and Jan van Scorel they discuss the plan to select art treasures from the Vatican’s holdings in order to sell them off to get money for the empty papal treasury. The graphic novel opens with a scene showing a ritual which was long said to exist, the formal test done by the camerlengo to ascertain a pope’s death, by calling out thrice his baptismal name, “Adriane, dormisne” (Adrian, are you sleeping? ), and giving a slight blow on his head with a special hammer. It is hard to find any real evidence for this custom, which if it really existed at all already ceased to happen in the seventeenth century. Today the camerlengo still has the task to certify the death of a pope. However, it is certainly followed by the immediate destruction of the papal ring, an element Teng and Schutten correctly added immediately after the scene with the probing camerlengo. Here I will not spoil the joy of anyone wanting to enjoy and read the book by Teng and Schutten by giving away the plot or pronouncing verdicts on the historical veracity or plausibility of the facts they describe. They admit to have added some minor figures to ensure the story can run as it does. Giving Van Scorel a servant is just a time-honoured homage to the practice of detective novels with an investigator and his faithful assistant. The story told by Teng and Schutten can serve as an invitation to look anew at the stories historians like to tell. They can learn from the skillful way Teng shows a sequence of scenes, using for example close-ups to focus on details or general scenes to set the background of events. The funeral of pope Adrian VI in the basilica of St. Peter’s which for a large part still lacked a roof, is shown in true detail. Adrian’s burial at St. Peter’s was followed by a translatio of his body in 1533 to the church of Santa Maria dell’Anima in Rome. By the way, this church started its life as a hospice for pilgrims founded in 1350 by Jan Peters, a rich baker from Dordrecht. The German project REQUIEM on the tombs and monuments of opes and cardinals in Rome between 1500 and 1800 has an extended entry on this monument. At his tomb in St. Peter’s the inscription said Adrian had considered his duty to reign as the most unhappy part of his life. The inscription on his large-scale monument within the Santa Maria dell’Anima reads in translation: “O how much does the time matter in which the virtue of even the best man happens”. These words seem to have inspired the title of the latest biography of pope Adrian VI by Michiel Verweij, Adrianus VI (1459-1523) : de tragische paus uit de Nederlanden (Utrecht 2011). At Deutsche Inschriften Online you will find the book by Eberhard J. Nikitsch on the inscriptions of this church, Die Inschriften der “Deutschen Nationalkirche” Santa Maria dell’Anima, I: Vom Mittelalter bis 1559 (Rome 2012). The essays in the exhibition catalogue De paus uit de Lage Landen Adrianus VI, 1459-1523 (Louvain 2009) help to put Adrian’s life into perspective. Jan van Scorel came back to the Low Countries imbued with Renaissance ideas which he promptly used in his paintings. The great German art historian Max Friedländer once said Van Scorel had a role for Dutch painting in the sixteenth century similar to that of Peter Paul Rubens for Flemish painting in the next century. In particular his group portraits were an important innovation. In 1528 Van Scorel got a canonry at St. Mary’s in Utrecht, thus giving him a part of the financial background which had helped Adriaen Boeyens during his long ecclesiastical career. Last year I wrote a post about the project Medieval Memoria Online. Jan van Scorel is connected to several memorial objects. A part of the floor slab of his grave from the collegiate church of St. Mary’s is now kept at the Museum Het Catharijneconvent in Utrecht (MeMo no. 3006). His group portraits of members of the Jerusalem confraternities in Haarlem and Utrecht are also described in the MeMo database (MeMo nos. 669, 671, 672, 716 and 746). Let’s close this post with a number of questions: can historians still create stories mainly using words? Is it not necessary nowadays to be at least very much aware of the imagery created by visual media? The creators of blogs are familiar with these questions and try to provide their own answers. Especially when a story does not unfold itself in the standard way movies and televisions series like to show them it is important to be aware of the (visual) expectations of your public. If people ask you for telling images, they are absolutely right to ask this from you! It will be your duty to come with reliable images or to tell what illusions, allusions and deviations images might contain. Professional pictorial research is most certainly one of the historian’s duties. You will need both your imagination and sound knowledge, helped by historical images, to create images in the mind of your readers which help both you and them to get to the core of historical events and persons. Misgivings about historical inaccuracies that occur in the choice or the use of images should not be the final aim of any criticism, but an outright challenge to produce yourself history which benefits substantially from the proper use of images and imagery. This entry was posted in General and tagged Art, Canon law, Italy, Legal history, Legal iconography, Netherlands, Utrecht on January 4, 2014 by rechtsgeschiedenis. At the start of a new academic year I would like to share here a subject which for many people recalls holidays with visits to old cities and monumental buildings. This post is clearly a late summer posting! Every now and then you might spot somewhere an object commemorating a lawyer. When you visit for example a medieval church you might find tombstones with clear indications of the profession of the deceased. In the last decades huge efforts have been made to make research for medieval tombstones more efficient and more contextual. This year’s launch of the Dutch database Medieval Memoria Online prompted me to look into this project for traces of lawyers, and to look at some comparable projects elsewhere in Europe. For this contribution I got also in particular inspiration from the marvellous ongoing series of posts on nineteenth-century American cemeteries and monuments by Alfred Brophy at The Faculty Lounge. The database of the project Medieval Memoria Online, accessible in English and Dutch, has been developed at Utrecht University by a team of scholars led by art historian Truus van Bueren. The project documents not only tombs and floor slabs, but also memorial registers, memorial pieces and narrative sources with a function in commemorating people. The project focused on the Northern Netherlands in the fifteenth century, but there is also a provisional online inventory of wall-mounted memorials in the Southern Netherlands – roughly present-day Belgium – between 1380 and 1520, and a glossary of terms in Dutch, English and German. When I saw the project of Sophie Oosterwijk and Charlotte Dikken on the floor slabs of St. Michael’s at Oudewater I quickly added this information to my recent post about Oudewater. In an article I wrote in 1994 on medieval lawyers and working habits I could refer to the study by Renzo Grandi, I monumenti dei dottori e la scultura a Bologna (1267-1348) (Bologna 1982) with many pictures of sepulchral monuments for lawyers in Bologna. Many of them are now at the Museo Civico Medievale. Some of these monuments show a law professor during his teaching. Several monuments can still be seen in situ. One of the earliest modern illustrated publications about them is by Alfonso Rubbiani, Le tombe di Accursio, di Odofredo e di Rolandino de’ Romanzi glossatori nel secolo XIII (Bologna 1887). Let’s turn back to the Netherlands and look at some examples of tombstones and other memorial objects commemorating lawyers and people trained as lawyers. 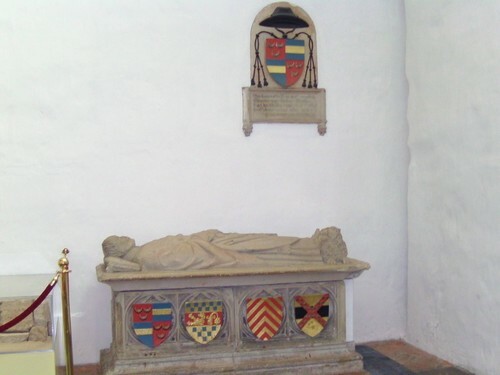 My main example is the tomb of Dirk van Wassenaer (memorial object no. 2527) at the Janskerk (St. John’s) in Utrecht. The Memoria database carefully distinguishes between information about the wall memorial, the tomb, the inscriptions, the heraldic arms, personal information and information on locations. In this case the inscription at the wall provides part of the personal information. Dirk van Wassenaer died in 1465. He was the son of the burggraaf (viscount) of Leiden. He had been a parish priest at Leiden, a canon at Utrecht Cathedral (St. Martin’s), a provost at the collegiate church of St. Pancras in Leiden since 1416, archdeacon at the Janskerk, and a protonotarius papae, a papal protonotary. When I read the notice on the wall memorial I wrote at first that the heraldic description in the Memoria database of both the tomb and the wall memorial was not complete and partially incorrect, but the database has separate entries for the tomb and the wall memorial. The tomb monument has been described separately (MeMo no. 2960), where you will find clear descriptions of the four arms. The description of the galero, the black hat, is not correct. It is not a cardinal’s hat, which would show red cords and fifteen tassels at each side, but a more simple canon’s hat with just six tassels, not even the hat of an apostolic protonotary, with twelve tassels. The galero might symbolize the deanery held by Van Wassenaer, a suggestion given elsewhere in the description. The database provides an image of a drawing made in 1636 by Pieter Saenredam showing the tomb and the memorial in the St. Anthony’s chapel in the north aisle of the church, a chapel founded by Van Wassenaer. Today both objects are in the south part of the transept, a fact duly noted in the description of the tomb. For a database on this scale it is perhaps just wanting too much if literature on Van Wassenaer is not mentioned. Describing the objects systematically is already asking much. I could easily track an article by O.A. Spitzen, ‘Het grafschrift van proost Dirk van Wassenaer in de St. Janskerk te Utrecht’, Archief voor de geschiedenis van het Aartsbisdom Utrecht 17 (1889) 307-333 (online at the Trajecta portal for Dutch and Belgian ecclesiastical history). It seems I was not completely lucky in choosing my main example: instead of protonotary the notice on Van Wassenaer reads prenotary, an unfortunate mistake when you want to look for other protonotaries. By the way, we deal here with honorary protonotaries, not actual officials of the Roman curia. One of the strengths of the database is the clear separation of personal information and information about objects. The same person might be commemorated in several places or he might be mentioned in a necrological register, but he or she could also be the founder of a memorial for someone else. The second example of a protonotary helps to show this variety. A floor slab for provost Cornelis van Mierop (died 1572) at St. Martin’s in Utrecht was destroyed during the last restoration thirty years ago (MeMO no. 2934). Van Mierop, too, was a protonotary, and the inscription on his tomb, luckily preserved in a manuscript with many drawings of tombs and windows, stated he had been also a counsellor to the king of Spain (regis Hispaniae a consiliis). His portrait can be seen in a stained glass window depicting Christ giving his first sermon at the Grote or St. Janskerk in Gouda (MeMO no. 870), and in yet another window at the Grote or St. Jacobskerk (St. James’) in The Hague (MeMO no. 3012), showing him as the dean of the fourteen canons of the chapter of the Hofkapel (Court Chapel). Both windows were created by Dirk Crabeth. The third example of a protonotary is even richer. The floor slab of the grave of Antonis Fürstenberg was found as recently as 1980 in Nijmegen and can now be seen at the Museum Het Valkhof (MeMO no. 2272). Fürstenberg was born around 1480 in Westphalia. He studied law at Bologna and received his doctoral degree (decretorum doctor) in 1498, and he held also a bachelor’s degree in theology. He was a law professor at the university of Copenhagen and provost of the convent Borglum in Jutland (praepositus Burglaviensis). A fourth protonotary, Adriaan van Isendoorn (died 1566), was buried at Utrecht Cathedral (MeMO no. 79). On the floor slab the title for protonotary reads sedis apostolicae protonotarii (..), a protonotary of the Apostolic See. Of course you need to combine the information provided by the Memoria database with data found elsewhere. Last year I wrote a post about a number of online prosopographic databases for Classical Antiquity and the Middle Ages. Alas I could not find our four protonotaries in the databases of Germania Sacra, nor at Prosopographica Burgundica. One of the online resources which helps you finding scholars in the German Holy Roman Empire between 1250 and 1550 is the Repertorium Academicum Germanicum. The Dutch Memoria project is certainly not the only scientific enterprise to present medieval inscriptions online. The German project Deutsche Inschriften Online brings you to inscriptions from several towns, monasteries and dioceses during the Middle Ages and the Early Modern period. At Epigraphica Europea (Universität München) you will find links to many European projects for online access to medieval and later inscriptions. Among the more specific and well-defined projects is REQUIEM, a German database for the tombs of cardinals and popes in Rome from 1420 to 1798. In this database I found for example that cardinal Pietro Pamfili-Colonna (1725-1780) had been a functioning apostolic protonotary (protonotarius apostolicus de numero participantium) from 1750 to 1761 after his promotion in 1750 as a doctor utriusque iuris at the university of La Sapienza. In 2006 the Università degli Studi di Padova launched the website Le sepolture regie del regno italico (secoli VI-X concerning royal graves and monuments in Italy from the sixth to the tenth century, with a focus on the historical background and less information about the actual buildings and tombs. In passing I noted a manuscript preserving the text of a floor slab at Utrecht Cathedral. It was created by Aernout van Buchell (Buchelius) (1565-1646) who lived in Utrecht, but made also some travels abroad. At Het Utrechts Archief, Utrecht University Library and at Tresoar, the Frisian archive in Leeuwarden, three illustrated manuscripts created by Van Buchell are kept which add much to the information in the Memoria database. Van Buchel saw many churches, and even though he did make mistakes his work is still valuable. These three manuscripts can be searched online. His Diarium, a travel diary kept at the Special Collections of Utrecht University Library (ms. 798), has been digitized, too. An album amicorum (Leiden, UB, ms. Ltk. 902) was the subject of an exhibition at Leiden University Library, and it has been digitized for an online exhibit. To return once more to apostolic protonotaries, Buchelius mentions Johan Ingenwinckel, a provost of St. John’s, Utrecht, who died in Rome in 1534. Van Buchel’s notes about the Dutch East India Company and his work for the Amsterdam chamber, held at the Nationaal Archief, have been transcribed, too. No doubt his fame rests upon his copy of a drawing around 1596 of The Swan theatre in London (Utrecht, UB, ms. 842, fol. 132 r). You can read the Dutch version (2000) of Judith Pollman’s biography of Buchelius, Een andere weg naar God. De reformatie van Arnoldus Buchelius (1565-1641), online in the Digital Library of Dutch Literature. If you look in the Memoria database for persons with a legal degree, be it a doctorate utriusque iuris, a doctor or licentiatus decretorum, you will find interesting results, even when their actual number is small. To wet your appetite a last example: in Arnhem you can find in the Grote or Eusebiuskerk the tomb of Joost Sasbout (1487-1546), first from 1515 to 1535 a councillor at the Court of Holland and afterwards chancellor of Guelders, and his wife Catharina van der Meer. The memorial sculpture (MeMO no. 570) might be a work of Colijn de Nole, the sculptor of the famous mantelpiece in the old town hall of Kampen. You can trace many Dutch officials quickly in the online Repertorium van ambtsdragers en ambtenaren 1428-1861. When you use this website together with the online biographic resources at the Dutch Biografisch Portaal you will surely find much valuable information. Rolf de Weijert, one of the members of the Memoria team, told me that unrecorded medieval tombstones are currently being described in the province of Zeeland. They will be added as soon as possible to the database. For the Medieval Memoria project generic information, including description standards and a database model, is provided to help making similar projects effective and valuable, and to enhance the eventual creation of interfaces between such projects. The Memoria project did start as an art history project, but the efforts to integrate information from this discipline with textual resources transcend the boundaries of one discipline. Medieval Memoria brings you not only inscriptions or tombs and floor slabs, but also relevant texts, an example worth following. It is simply not realistic to expect a database to contain all data you would like to have at your disposal. You can help the Medieval Memoria project and similar enterprises by pointing the scholars behind them to the resources which can enrich them. 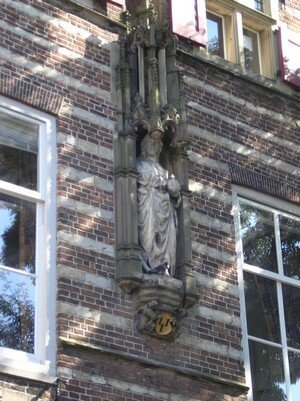 Instead of criticising the lack of information for some objects it is wiser to realize that already a relatively small collegiate church such as St. John’s at Utrecht has some thirty memorial objects, and also a necrology from the sixteenth-century. The Sint Janskathedraal at ‘s-Hertogenbosch (Bois-le-Duc) has more than 500 tombstones which you can study at a special website. Genealogists are probable more aware of cemeteries and tombstones than lawyers and legal historians, but it is most sensible not leave them out on purpose of our studies of subjects related to legal history. The Dutch Genealogical Society presents a nice array of websites concerning cemeteries in my country and abroad. Let this suffice here to indicate a general direction, for one blog post cannot offer the functionality of an omniscient navigation tool on the oceans of questions and scientific knowledge. This entry was posted in General and tagged Epigraphy, Italy, Legal history, Legal iconography, Netherlands, Utrecht on September 9, 2013 by rechtsgeschiedenis. Followers of the series Centers of legal history will have some expectations about a post featuring an Italian city. Which city will I choose? In earlier posts outside this series several Italian towns have figured. In the post on digitized Italian city statutes I pointed to websites all over Italy. My post on the Codex Florentinus contained references to institutions in Florence. The recent post with a discussion of two digitization projects in Bologna ended with a nutshell’s guide to research institutions and other relevant projects at Bologna. Creating a guide for Rome and legal history within the scope of just one blog post is something beyond my powers, and probably just too long and too uneven to be worth the effort. Milan offers itself as the town to figure here, and where possible and sensible I have added institutions and initiatives in Lombardy. The presence of several universities is one of the reasons to include Milan in this series. I will start with the Università degli Studi di Milano and its department for legal history. Among the current staff of the Sezione di storias medievale e moderno Claudia Storti is now probably the best known scholar, but among former scholars at Milan it is surely Antonio Padoa Schioppa. The library of this section and its digitization projects command respect. In particular the bibliographical database and the database of offprints are worth noting as something only seldom found elsewhere, as is the online database of microfilms of medieval legal manuscripts. The presence of filters for specific themes shows the sheer width of this collection. I Gridari del ducato di Milano del XVIII secolo is a project with digitized legislation from the eighteenth century for the former duchy of Milan. The second digital library contains a wide variety of more than 700 old legal works. The Università degli Studi di Milano has also contributed to the creation of the Censimento dei manoscritti medievali della Lombardia, the online census of medieval manuscripts in Lombardy. The section for Roman law is less well-known than its counterpart. One of the most salient features is the project on the rights of “others” in Roman and Greek law in which five Italian universities participate. The department has a substantial library. Pride of place should go to the department’s journal Dike for the history of Greek and Hellenistic law. The issues of this journal between 198 and 2007 have been digitized. The second university to present here is the Università Bocconi – in full Università Commerciale Luigi Bocconi – and its Dipartimento di Studi Giuridiche Angelo Sraffa. Unfortunately the pages of the section for Roman law lack information. Of the small section for medieval and modern legal history I would like to mention Annamaria Monti. She contributed to the interesting online exhibition I libri antichi di Angelo Sraffa which focuses on Benvenuto Straccha, a sixteenth-century lawyer, and his treatise De mercatura, an early treatise devoted exclusively to commercial law. Other treatises on this subject, a bibliography and a catalogue of the early printed books donated by Angelo Sraffa (1865-1937) to the Università Bocconi, accompany this exhibition. A second online exhibition shows Italian editions of the Consolato del Mare from 1576 onwards. The Llibre del Consolat del Mar, a legal text from Catalonia, is one of the major sources of medieval maritime law. By the way, together with the Università degli Studi di Pavia the Università Bocconi has created an Italian Law School. The third university is the Università Cattolica del Sacro Cuore, a university which is active in five Italian towns: Milan, Brescia, Piacenza, Rome and Campobasso. Despite careful searching at the websites of the law faculties in Milan and Piacenza I was unable to find any activity in the field of legal history. A fourth smaller university, the Università Milano-Bicocca has more to present. At this university you will find a department for medieval and modern legal history and a department for canon law. Loredana Garlati is one of the editors of the Italian legal history portal Storia del diritto medievale e moderno. At this portal you can find in particular detailed information about the legal historians active in Italian universities. I guess I have not found every legal historian in Milan at the website of her or his university, but this portal can bring you safely to them. If you are tempted to conclude that the first half of my post is distinctly meagre despite the presence of four universities the second half should contain sufficient arguments to convince you about the wealth and variety of institutions and their projects in Milan and Lombardy. Let’s start with the Biblioteca Nazionale Braidense, where I found only two digitized journals dealing with law from the early twentieth century in the Emeroteca of its Biblioteca digitale. Alessandro Lattes, a legal historian, and his brother Elia donated the books which now form the Raccolta Ebraica at the Braidense. The Braidense has got an extended collection of microfilms with historical works concerning the Waldensians. The Biblioteca Ambrosiana was founded in 1609 by cardinal Federico Borromeo (1564-1631). Its name stems from Ambrose, the famous fourth-century bishop of Milan. After the Bodleian Library (1602) in Oxford and the Biblioteca Angelica in Rome (1604) the Ambrosiana is one of the oldest public libraries in Europe. The library has a truly marvellous collection of medieval and Renaissance manuscripts. Some of the more famous manuscripts have been digitized, with probably the Codex Atlanticus of Leonardo da Vinci as the most often sought item. For legal historians and church historians one of the most interesting digital sources are the Acta Ecclesiae Mediolanensis (1582), the first episcopal acts under the aegis of cardinal Carlo Borromeo (1538-1584) in which he tried to follow the decrees of the Council of Trent as closely as possible, with numerous important changes for church life. These acts became quickly the model for the Catholic Church of the Counter-Reformation. We saw already digitized materials on the legal history of the Duchy of Milan. The Consiglio Nazionale delle Ricerche has created an online bibliography on the gridi and editi between 1560 and 1796, and of course digitized sources, which you can use after registration. The Archivio lombardo della legislazione storica is an online repertory for legislation in the field of public law in Lombardy from 1749 to 1859. This site is maintained by the Ministero per i Beni Culturali of the Regione Lombarda, which has created a portal on the cultural history of Lombardy. The Codice diplomatico della Lombardia medievale (secoli VIII-XII) is one of the largest projects for the digital edition of medieval charters, and remarkable for including such early charters. One of the quickest and most update ways to find information about online projects concerning the history of Milan, Lombardy and the whole of Italy is the blog Bibliostoria maintained at the Biblioteca delle Scienze della Storia of the Università degli Studi di Milano.This library has also created a special Bibliostoria Web Resources database and a separate catalogue for women’s history. From the blog and the database I can choose almost at random several announcements about relevant projects. Recently the twenty volumes of the Corpus Nummorum Italicorum have been digitized. The very word Corpus reminds me not to forget the digital version only recently launched of the Corpus Inscriptionum Latinarum at Berlin, where you will find Roman inscriptions from Italy partially ordered by region. The Archivio di Stato di Milano has created an online version of their exhibition commemorating 150 years of Italian unity in 2011, Itali siam tutti, un popol solo. The Atlante dei Catasti Storici e delle Carte Topgraphiche di Lombardia is a special website of the Archivio di Stato at Milan with historical tax registers and maps, where you will also find materials from the Veneto. You can combine your research here with information from Territori, a similar website covering all Italy. The state archive of Milan is present, too, at the portal site for culture in Lombardy, LombardiBeniCulturali. On this portal La memoria degli Sforza presents a digital version of the first sixteen registri of Francesco I Sforza (1450-1466) with a useful bibliography. At the Castello Sforzesco in Milan you will find the Archivio Storico Civico and the Biblioteca Trivulziana. The link here brings you to many more links of cultural institutions in Milan, and I would single out the portal Storia di Milano. At the website for the Civiche Raccolte Storiche you can also find the Museo del Risorgimento. Digatimi is a digital library on Milan with literary works, including chronicles of Milan’s history. The portal LombardiBeniCulturali gives you short but good general overviews of the history of Lombardy, and provides you with information about institutions which preserve and present Lombardy’s history and cultural heritage. Bibliostoria mentions the bibliographical database of the library of the Senato della Repubblica in Rome where you can search for old works concerning Italian local and regional bibliography in the Fondo Antico di Storia Locale. At a server of the University of Naples you will find a database on the canons of the principal collegiate churches in Lombardy during the Sforza era; this project belongs to the Reti Medievali initiative. The websites dedicated to the history of Milan and Lombardy should in no way diminish the role of general portals, websites and online projects for Italy. If you execute a search for Milan at InternetCulturale you will have to filter the many thousands results you get. With this post I hope to have ended this year’s summer pause in a rewarding way. I look forward to resume writing about many subjects which all touch in one way or another the rich territories of legal history. Starting with the post on Paris I offer for each town also a general guide to research institutions in the fields of history and legal history. The post concerning medieval canon law and the recent congress in Toronto belongs in a way also to this ongoing series. This entry was posted in Centers and tagged Canon law, Digital libraries, Italy, Legal history, Medieval law, Roman law on August 31, 2012 by rechtsgeschiedenis. On this blog the twin brother of the walking historian is the armchair historian, comfortably seated at his desk in front of a computer screen, with access to a multitude of digitized sources online. Among these sources medieval legal manuscripts, too, are present. The ability to see a source in its original form can be fascinating, although at the same time you need to know about old scripts to read and interpret them correctly. On my website for legal history I mention a number of websites with digitized legal manuscripts, both for medieval law as a general subject and more specifically for medieval canon law. Some of the websites indicated offer solely digitized medieval legal manuscripts. In this post I will look at two digitization projects at the Università di Bologna, Europe’s oldest university, where the teaching of law was for centuries at the very heart of the university. The first project to be discussed is the Progetto Irnerio in which the legal manuscripts at the Collegio di Spagna (Real Colegio de España) in Bologna have been digitized. The collection of manuscripts was started by cardinal Gil de Albornoz (1310-1367) who founded this college in 1364 and gave 36 manuscripts to the library of his new foundation. The college has illustrious people such as Ignatius of Loyola and Miguel Cervantes among its students. In 1992 a team of scholars published a detailed catalogue of the sizeable manuscript collection, I codici del Collegio di Spagna di Bologna, Domenico Maffei, Ennio Cortese, Antonio García y García, et alii (eds.) (Milan 1992) which stressed the rich value of the nearly 300 manuscripts for the study of the history of medieval and early modern law. In 2002 the CIRSFID, the center for the history of law, philosophy and sociology of law and legal information at the Università di Bologna, started the project for the digitization of these manuscripts. On this project the images of the manuscripts can be viewed in two ways. Subscribers to the project get access to high-resolution images. The snag for non-subscribers is that even when you try to enlarge images the resolution is so low that they are almost useless. The registration includes the signing of a full contract with all kind of stipulations. A restricted number of images can be viewed freely, for anything more one has to pay. It creates the distinct impression one will get access to documents with a priceless value or at least value to create a considerable sum of money out of them. The project was founded with money stemming partially from a foundation created by a savings bank in Bologna, the Fondazione Cassa di Risparmio. The difference between the liberality with which information about the manuscripts is available and searchable at this project, and the strictness of the access to images which can be used for study is questionable – see the postscript for an update . For the second project the same center at Bologna cooperates since 2008 with a number of libraries, initially with the Università di Roma Tre and the Università di Napoli, but now also with institutions outside Italy such as the Bayerische Staatsbibliothek in Munich and the ENRICH project for a European digital library of manuscripts, an offspring of Manuscriptorium. In the Progetto Mosaico you will find both descriptions of medieval legal manuscripts and a number of digitized relevant manuscripts. The number of manuscripts with images currently shown is surely not very high. The first main difference between the Irnerio and Mosaico projects is the presentation of high quality zoomable images at the Progetto Mosaico. Progetto Mosaico offers immediately full access to the manuscript images after agreeing online with the terms and conditions of use. A second substantial difference is the grouping of the manuscripts around a number of subjects. Let’s look at the largest of these groups which focuses on the Authenticum, the medieval collection of Justinian’s Novellae. Not only the Digest but also these constitutions from the sixth century became the object or study only from the twelfth century onwards. At Mosaico 28 descriptions of manuscripts are given and their contents are compared. A further overview graphically shows the slow way the manuscripts with these constitutions were taken into account and described in the first half of the nineteenth century. For four manuscripts images are available (Angers, Bibliothèque Municipale, 333; Bologna, Biblioteca Comunale dell’Archiginnasio, A 132; Florence, Biblioteca Medicea-Laurenziana, sin.7 plu.9; Leipzig, Universitätsbibliothek, Haenel 5). It is good to have here detailed descriptions of the manuscripts and the texts included in them. It reminds you the text of the Authenticum was transmitted together with other legal texts. Most of the manuscripts described here contain also glosses. In the study by Charles Radding and Antonio Ciaralli, The Corpus Iuris Civilis in the Middle Ages. Manuscripts and transmission from the sixth century to the juristic revival (Leiden, etc., 2007) the earliest medieval manuscripts of the Authenticum figure, too. One of the arguments Radding favors is to consider the possibility of new datations of these manuscripts. In the nineteenth century many manuscripts were ascribed a date which according to the modern knowledge about palaeography and codicology might strongly differ, a century or even more. In principle this could place the start of the renewed interest in Justinian’s compilations and constitutions much earlier, and also in other places. In order to localize and date manuscripts it is very useful to have them together. The online presentation of manuscripts held at many different cities across the world is a most welcome tool to facilitate such inquiries and to probe Radding’s hypotheses. Among the other manuscripts presented at Mosaico is a focus on legal procedure. One of the results of the study by twelfth-century lawyers of the actiones in Roman law was the creation by Giovanni Bassiano of the so called Arbor actionum, the “Tree of Actions”, a kind of didactic scheme to explain the main differences between legal actions. On the Mosaico website the design of this tree is explained, and two different versions of it are presented. Images are provided from two manuscripts with the vulgate – most common – version, Bamberg, Staatsbibliothek, ms. Can 23, fols. 270v-271r, and Bern, Burgerbibliothek, fols. 61v-62r. A different version has been preserved in three manuscripts, of which Admont, Stiftsbibliothek, 234, fols. 179v-180r, and Bamberg, Staatsbibliothek, ms. Jur. 13, fols. 1v-2r can be viewed at Mosaico. The third manuscript, Leipzig, Universitätsbibliothek, 921, fol. 187v-188r, can be seen at Manuscripta Mediaevalia. In this section you will find also ample references to earlier literature about the arbores actionum. Mosaico shows that medieval lawyers did not only know the arbores consanguinitatis et affinitatis, about which you can read in two recent blog posts, the first by Jolande Goldberg at In Custodia Legis, the blog of the law librarians of the Library of Congress, the second at Interfaces/Livres anciens de l’Université de Lyon. At this French blog a comment guides you to an online exhibition of the Bibliothèque nationale de France about the symbolic value of the tree in medieval thought with an analysis of the genealogical uses. The other manuscripts presented at Mosaico concerning medieval legal procedure are Olomouc, Státni árchiv, C.O.40 with the Tractatus quaestionum attributed to Giuliano da Sesso, introduced and transcribed by Lucia Sorrenti, the author of Il “Libellus Quaestionum” di Giuliano da Sesso. Un giurista ghibellino a Vercelli (Messina 1992), and Prague, Knihovna Národního Muzea, XVII.A.10, with the glosses of Roffredus Beneventanus on the Codex Justinianus. For the manuscript Munich, Bayerische Staatsbibliothek, Clm 8011 an introduction and summary description is lacking. In fact only a part of this manuscript is shown (fols. 86r-107v) with quaestiones disputatae in iure canonico by Aegidius de Fuscariis and other jurists. One of the interesting aspects at Mosaico is the use of different models for presenting the images and creating space for transcriptions and comments. This makes the project a kind of laboratory for editing manuscripts using online tools. In the absence of agreement among scholars about a general way of describing medieval manuscripts along standards which are also consistent with presentation online using XML, and dealing with both data and meta-data concerning manuscripts, any initiative showing different approaches for one very wide manuscript genre is valuable in itself. The model Susa – after Henricus de Segusio (1190/1200-1271), often nicknamed Hostiensis because he ended his life as cardinal of Ostia – is a simple database for searching manuscripts, with for now perhaps not enough data to consider its functioning properly. The model San Pietroburgo presents data and meta-data in a series of windows with information for each manuscript page. The model with the tempting name Processo di Satana offers a viewer in which you can compare two manuscripts and add comments and transcriptions. In the late Middle Ages several texts presented the story of a trial of the devil against God claiming human souls. These treatises offer a kind of nutshell guide to forms of procedure at court, and at the same time also a guide to a number of theological matters. At Mosaico you will find the Processus Sathanae contra genus humanum ascribed to Bartolo da Sassoferato (1313-1357). The manuscript tradition of this treatise is the subject of another section, which alas is not complete, but at least you will find an introduction and a provisory list with 43 manuscripts. The list is certainly not complete, but has the distinct merit of noticing the context of the transmission in both juridical and theological manuscripts. You can view images of four manuscripts of Bartolus’ text. Readers of an earlier post here might remember that Bartolus’ treatises have been preserved in many manuscripts. The fourth model Bertram offers images, a classic transcription and commentary by Martin Bertram of the manuscript Montecassino 266 of Goffredo da Trani’s Apparatus decretalium, one of the earliest and most original commentaries on the Liber Extra, the major official decretal collection published in 1234. It is only fair to indicate that Mosaico offers the result of work in progress. At some turns there is little to desire, at other points progress seems to have halted soon after the start. It is certainly thoughtful of the makers to present the manuscripts from the Biblioteca Comunale dell’Archiginnasio in Bologna also in a separate section, but here, too, an introduction is lacking. Ms. A 34 contains the Processus Sathanae. Ms. B.1484 presents the text of Salatiel’s Ars notariae. Ms. B.2794 and ms. B.2795 are both manuscripts with various legal texts which again are concerned with legal procedure. The first has for example the Margarita legum of Alberico Galiotti, quaestiones by Azo and the Libellus questionum of Pillius and a Summula de libellis formandis atrributed to Salatinus. The second manuscript offers a Libellus de ordine iudiciorum ascribed to Pillius, Guido de Suzaria on the same subject, the Tractatus de summaria cognitione by Giovanni Faseoli, and a number of texts without a clear attribution. The best modern starting point for research on these two manuscripts is no doubt the study by Linda Fowler-Magerl, Ordo judiciorum vel ordo judiciarius. Begriff und Literaturgattung (Frankfurt am Main 1984). The genre of the quaestiones is one of the subjects dealt with by Annalisa Belloni, Le questioni civilistiche del secolo XII: Da Bulgaro a Pillio da Medicina e Azzone (Frankfurt am Main 1989), and in the proceedings of a symposium, Die Kunst der Disputation. Probleme der Rechtsauslegung und Rechtsanwendung im 13. und 14. Jahrhundert, Manlio Bellomo (ed.) (Munich 1997). A summary of the contents of the twin manuscripts B.2794-2795 is also to be found in the catalogue of the microfilms held at the Istituto di Storia del Diritto Italiano, Sezione di diritto medievale e moderno, in Milan. For medieval manuscripts in Italy one can use online BIBMAN, the Bibliografia dei manoscritti in alfabeto latino conservati in Italia, which helps you finding literature on specific manuscripts, MANUS, the Censimento dei manoscritti conservati in biblioteche italiane, a general database for Italian manuscripts, the Nuova Biblioteca Manoscritta database for manuscripts in the Veneto, and Codex, the Inventario dei manoscritti medievali della Toscana, yet another database for manuscripts. For Lombardy a comparable censimento exists, to mention only the largest regional projects and those projects most relevant for legal history. However, musical manuscripts and Greek palimpsests (Rinascimento Virtuale) are certainly not forgotten in Italy, and you can find more projects in this list at the Scuola Normale Superiore di Pisa and at the portal Internet Culturale. The Vatican Library is anyway in a class of its own, and this is certainly the case for its manuscripts. Searching for manuscripts in Italy bearing a date is possible online with the online version of Manoscritti Datati d’Italia. Near the end of this post it is clear that at Mosaico the door is wide open for studies in the field of medieval legal procedure. The models for presentation merit close scrutiny and further elaboration. The doors of the Progetto Irnerio remain much more closed, an alluring treasure vaguely visible from outside. It is time to put my findings in a perspective, first on the level of medieval legal manuscripts, secondly in the context of other Bolognese libraries and their services. How do both projects compare with other websites and presentations devoted solely or partially to medieval legal manuscripts? Illuminating the Law is a fine online exhibition of beautiful medieval juridical manuscripts at the Fitzwilliam Museum, Cambridge. However, the exhibition shows only twenty images, almost exclusively from canon law manuscripts. The first images show the tree of consanguinity (Decretum Gratiani, ms. 262, fol. 71r) and the tree of affinity (ms. 262, fol. 71v). From a manuscript with the Volumen parvum which contains Justinian’s Institutiones and the Authenticum (McClean 139, fols. iv-iir), the arbor actionum is shown. Penn in Hand, the gallery of digitized manuscripts at the libraries of the University of Pennsylvania, contains a number of medieval legal manuscripts and records among a very large selection. The UPenn libraries offer only very short descriptions of these manuscripts. The Saint Laurentius Digital Manuscript Library of Lund Universitet, too, contains a number of legal manuscripts, with a full description of all 77 digitized manuscripts. Both Scandinavian law, and texts on Roman and canon law are present. Using the various websites which present illuminated medieval manuscripts one can easily find more images of the legal trees mentioned here. Libraries and others institutions in Bologna offer more besides the Progetto Irnerio and Progetto Mosaico. The Biblioteca Universitaria has much to offer, including a substantial number of online databases. The link collection gives due attention to legal websites in Italy. In ALMA@DL, the digital library, a whole section is devoted to digitized historical works, AMS Historica. A digital version of the Corpus Iuris Civilis in the edition Lyon 1556-1558 is its showcase. The historical catalogue of the university library has been digitized for the Cataloghi Storici project of the Biblioteca Digitale Italiana. The university’s Archivio Storico is worth attention, too, with historic photographs and its online database in which you can find diplomas, charters, medals and much more. The various colleges are not forgotten, with for example the Collegio Jacobs, nowadays the Collegio dei Fiamminghi. Bologna is home to more archives. The largest institution is the Archivio di Stato di Bologna (ASB), which has also its own Scuola di archivistica, paleogafia e diplomatica. Among the digitized sources is the Liber Paradisus, a register about the liberation of nearly six thousand slaves at Bologna in 1257. Together with the Centro Gino Fasoli per la Storia delle Città the ASB has created a digital version of the Estimi di Bologna di 1296-97, records estimating the properties of Bolognese citizens. After online registration you get immediate access to the original documents and further information on them, including an overview of similar records, a guide on the structure of the estimi and a bibliography. The Archivio Comunale di Bologna is the city archive. It participates in the initiative of a number of European municipal archives, Evidence! Europe reflected in archives. Other archives include the Archivio Storico Provinciale di Bologna and the Archivio Generale Arcivescovile. At Bologna the Biblioteca Comunale dell’Archiginnasio is really a jewel in the crown for everyone looking for old printed books and manuscripts. The library has several special catalogues online – for example for seventeenth and eighteenth century printed books – and a full overview of its collections. Archiweb, the digital library, presents a wealth of varieties of which I can hardly make a choice for a shortlist: the Bibliografia bolognese (1888) by Luigi Frati, the Raccolta dei Bandi Merlani with 22,000 digitized decrees and other legislative documents for Bologna from the sixteenth to the nineteenth century, Il Blasone Bolognese, a database with heraldic images created between 1791 and 1795, and FACIES, 10,000 digitized portrait images, are just some highlights you might want to look at when you are going to study Bologna’s legal history. Among the online exhibitions I would like to mention Nascità di una nazione on the Risorgimento period and the creation of a unified Italy. If you would like to search for medieval lawyers in one of Bologna’s museums, the Museo Civico Medievale, one of the four Musei Civici d’Arte Antica, would certainly live up to your expectations thanks to the collection of medieval tombs, sculptures and inscriptions. In order to find more museums, archives and libraries in Bologna and in the region around Bologna you should benefit from the online guides provided by the Provincia di Bologna. The only institution without a website which nonetheless deserves at least mention here is the Deputazione di Storia Patria per le Provinze di Romagna. With a comparison of two projects at Bologna presenting medieval manuscripts, reference to some projects elsewhere, and two nutshell guides, both for manuscripts in Italy and for archives, libraries and some museums in Bologna this post has become rather long. It is almost too much of a good thing, but I am sure you will find something of interest. Perhaps the very length of this post is fitting when you write about medieval Bologna. The town had two nicknames, La Dotta, the learned, and La Grossa, the fat one. It’s for you and your taste to file this post in the appropriate category! In 2014 I had a new look at the Progetto Irnerio. It is now possible to get access to images in high resolution. This happy state of affairs changes very much my opinion about the value of this project. At last the treasures of the Collegio di Spagna are accessible at home after only agreeing online to some formalities. Above each search result you can now click a button “Show Hi Res”. In 2012 I failed to mention the bilingual interface of Irnerio, both Italian and English. No more complaints now! This entry was posted in Centers, Manuscripts and tagged Digital libraries, Italy, Legal history, Medieval canon law, Medieval law, Medieval procedure, Roman law on April 21, 2012 by rechtsgeschiedenis. The Digest, the massive anthology of classic Roman law created for emperor Justinian (482-565), is the core text studied by scholars of Roman law. The textual tradition of the Digest is not straightforward. One of the most intriguing questions is the sudden return of the unabridged text of the Digest in the eleventh century. A key role for establishing the text of the Digest is traditionally given to the Codex Florentinus, a manuscript present in Florence since 1406, now kept at the Biblioteca Medicea Laurenziana. On the library’s webpage with an overview of its manuscript collections this manuscript figures in a class of its own. The Pandette, the Italian rendering of the Greek name Pandektai for the Justinian Digest, is special indeed. Recently the Biblioteca Medicea Laurenziana (BML) has added a PDF of a very extensive article by Davide Baldi about the history of the Codex Florentinus, ‘Il Codex Florentinus del Digesto e il Fondo Pandette della Biblioteca Laurenziana (con un’appendice dei documenti inediti)’, Segno e Testo 8 (2010) 99-186. Baldi’s article deserves close reading, if only for the extensive references to scholarly publications, the edition of sources about the presence, consultation and treatment in Florence of the manuscript from the fifteenth century until 1800, and the additional set with color photographs of the Codex Florentinus. The strength of his article is the wealth of information and its availability online. In this post I will summarize and comment on Baldi’s article which in my view deserves translation into other languages. The history of the Codex Florentinus holds a lot of riddles. Where did it come from? When was it written? How did it reach Italy? Why does the common version of the Digest found in seemingly countless medieval manuscripts written from the late eleventh century onwards differ so much from the text in this manuscript? Scholars of Roman law, antiquarians, palaeographers and codicologists have wrestled with these questions and studied this manuscript for centuries. The online catalogue of the BML has a filter to search for bibliographical information about manuscripts, including the Pandette, the search term which gives already an impression of earlier research. Today you can see for yourself who did actually consult the Pandette since 1992 using the BML’s Dedalo, the online monitor of manuscript movements. Anyway the BML provides you with a links collection for manuscript and papyri research. In his article Baldi offers first of all a very detailed codicological and palaeographical description of the Codex Florentinus. This information points in the end more conclusively than ever before to Constantinople and the sixth century as the time and place of its completion, but Baldi admits this cannot be established with absolute certainty and remains a debated question. A date in the sixth century is probably as close as we can get to the official publication of the Digest by Justinian in 533. Apart from the medieval manuscripts with the text of the Digest the Greek Basilica, a reworking of the Digest for the East Roman Empire, and a small number of papyri are textual witnesses of the Digest. Baldi points to the Leuven Database of Ancient Books (LDAB) where these papyri and the Florentine manuscript are listed, the latter as LDAB 7619. For the Basilica Baldi mentions the edition by G.E. and C.G.E. Heimbach and others (Basilicorum Libri LX (Leipzig 1833-1846)), which surely was used by scholars before the modern edition by the team at Groningen led by Herman Scheltema (17 vol., Groningen-‘s-Gravenhage 1953-1988). The Codex Florentinus has been the subject of two facsimile editions, Iustiniani Augusti Digestorum seu Pandectarum codex Florentinus olim Pisanus phototypice expressus (Rome 1902-1910) and Justiniani Augusti Pandectarum codex Florentinus (2 vol., Florence 1988). The Codex Florentinus is not without textual lacunae. Baldi notes carefully all missing manuscript pages. These lacunae are very important for tracking the relation with the Florentine manuscript in later manuscripts, but they give also an indication of its closeness to the original manuscripts made in 533. The scripts used – without space between words – and the lay-out, the writing hands and decoration, scribal notes and remarks of users, and in particular the bindings and much else are carefully examined with due reference to relevant publications which are sometimes difficult to trace. One of the stories accompanying the Florentine manuscript is the legendary tale of its conquest from Amalfi by the Pisans around 1135. Baldi admits that Amalfi was closely connected to the Byzantine empire, but he cannot find any substantial evidence for this story. In the mid-twelfth century the Bolognese lawyers Bulgarus and Rogerius saw the manuscript in Pisa. In the years around 1360 Leonzio Pilato studied the graeca, the Greek words used in the Latin text, and made a list of them on two new quires which were added to the two volumes of the codice Pisano, one of the other names for this manuscript. This addition is astonishing in view of the high regard for this manuscript. Leonzio’s Greek and his handwriting were not good: the list is hard to read and mistakes are around everywhere. The Codex Florentinus contains an epigram in Greek celebrating emperor Justinian. Leonzio’s transcription of this text, too, is faulty. The coming of the Pandette from Pisa to Florence happened for sure in 1406, a fact noted in a number of chronicles. In the Palazzo dei Priori a Sancta Sanctorum, a kind of tabernacle, was created to contain the precious manuscript. In 1439 the official acts of the Council of Ferrara-Florence were deposited in it, too. In 1445 the manuscript got new bindings. For details of the period since 1406 Baldi is often able to use and adduce sources present at the Biblioteca Medicea Laurenziana or kept at the Archivio di Stato in Florence on a scale not done before in studies concerning the littera Florentina, yet another nickname of the manuscript. In 1490 Angelo Poliziano made a full collation – a detailed material inspection – of the manuscript. His notes left the Palazzo dei Priori in 1517, got lost, but finally came to the Laurenziana in 1760 (Laur. Plut. 91 inf. 15-17). In 1525 the Signoria ordered a transcription of the Codex Florentinus in which somehow the libri D. 21 to D. 27 are lacking. These three volumes are now at the Biblioteca Nazionale Centrale di Firenze (Banco Rari 24, 25 and 26). Baldi follows the Pandette to its new location in the mid-sixteenth century in the Cappella di San Bernardo of the Palazzo dei Priori. In 1553, the year of the publication of Lelio Torelli’s edition of the Digest for which he had amply consulted the famous manuscript, it moved to the Stanza della Guardaroba. In 1690 the manuscript miraculously was not damaged by a great fire in the Palazzo. I have skipped the name of numerous famous humanists and scholars that came to look at the manuscript. From Boccacio and Marsilio Ficino to Jean Mabillon and Laurens Theodor Gronovius, all of them saw in Florence the venerable manuscript. A landmark is the study made by Hendrik Brenkman (1681-1736) who published the Historia Pandectarum (Trajecti ad Rhenum 1722, online in Munich; facsimile Frankfurt am Main 2005), still consulted nowadays. Bernard Stolte’s book Henrik Brenkman, Jurist and Classicist (Groningen 1981) will inform you about this scholar who intended to publish a new critical edition of the Digest. Only Theodor Mommsen and Paul Krueger succeeded in fulfilling this wish (Digesta Iustiniani Augusti (2 vol., Berlin 1868-1870 – the editio maior)). Baldi shows his capacities as a detective masterfully in the paragraph on the attempts since 1761 to transfer the Codex Florentinus to the Biblioteca Laurenziana. Only in 1786 did the manuscript actually arrive. He ends his many-sided tale with short notices on the modern embellishments of the bindings and the creation of facsimiles of this manuscript that has been on public display for the last time in 1983. The appendices to Baldi’s article with the transcription of numerous archival records are given on more than thirty pages. The ten color plates show a number of manuscript pages and details of the texts, the fifteenth-century binding and the artistic additions to the covers from the nineteenth and twentieth century. Here I have knowingly condensed a very dense article, and I could have told you more about the contents of the Digest. Baldi succeeds in his really long article in giving both a very detailed description of the manuscript itself and a detailed story in nuce of the documented presence of this utterly remarkable manuscript. The sudden surfacing of the Digest in the eleventh century remains one of the most enigmatic and most influential events in Western legal history. Of the remarkable archival records edited by Baldi I will give here just one example. At pp. 160-161 Baldi gives as document XIX a fragment of the seventeenth-century study by Giuseppe Averani (1662-1738) from a manuscript kept at the BML. Baldi cites Averani, a most versatile scholar who teached law in Pisa, on more occasions. Here Averani discusses one of the most curious and intriguing habits of medieval lawyers citing the Digest, the use of the abbreviation ff. Even the great German scholar Hermann Kantorowicz was at a loss for a clear explanation in his Über die Entstehung der Digestenvulgata. Ergänzungen zu Mommsen (1910), originally an article in the Zeitschrift der Savigny-Stiftung für Rechtsgeschichte 43 (1909) and 44 (1910). I have my own opinion about a solution for this riddle, but Averani came already with a very simple and elegant explanation for the origin of this habit. In his view medieval lawyers originally used the Greek letter Π (pi) when referring to the Digest or Pandectae. Because medieval people did not understand Greek – this, however, is a rude generalization – the two vertical lines and the horizontal line on top of them got transformed into two f’s. It remains to be shown by palaeographers and calligraphers whether this scribal transformation is indeed so easy to realize, but for me Averani’s explanation rings true. By sheer coincidence I read today a notice about the Palaeographia website and the beta version of the Graphoskop, a new tool to assist the analysis of historical handwriting. It will take some time before such tools can be used with confidence. The Istoria delle Pandette fiorentine of Averani (Florence, BML, Ashburnham 1332) merits further study, perhaps even an edition, even if it clearly starts as a reworking of Brenkman’s book. Davide Baldi kindly informed me he has transcribed Averani’s text. He is planning to publish it. Brenkman had helped Averani to get his Interpretationes Iuris published in Holland (first edition Leiden 1716). Averani does figure in the second edition of Juristen: ein biographisches Lexikon. Von der Antike bis zum 20. Jahrhundert, Michael Stolleis (ed.) (Munich 2001). A host of scholars has studied the Codex Florentinus. Baldi’s article shows graphically how many skills they need to study this manuscript in depth. In fact the modern study of it shows in a nutshell how disciplines in the humanities not only can work together, but more strongly that only by combining forces and accumulated knowledge, methods and tools such study will remain fruitful. Dealing with a number of both modern and classical languages is here a condition sine qua non. I have added a link to Baldi’s article on my webpage concerning medieval law, where you will find Baldi in the company of scholars as Wolfgang Kaiser, Tammo Wallinga and others who have studied and will continue studying the Florentine Pandette anew for our times. In view of threatening – and actually happening – drastic cuts in funding of both legal history departments and the humanities in general one might doubt whether future generations will be able to acquire or assemble all qualities needed to follow in their footsteps. Nani super humeros gigantum, dwarfs on the shoulders of giants, is a proverbial expression from the twelfth century that well may revive. Hans Erich Troje published last year a study about the sixteenth-century editions of Justinian’s Digest, “Crisis Digestorum”. Studien zur historia pandectarum (Frankfurt am Main 2011; Studien zur europäischen Rechtsgeschichte, 264). This entry was posted in Manuscripts, Scholars and tagged Italy, Legal history, Medieval law, Roman law on February 4, 2012 by rechtsgeschiedenis. One of the most characteristic features of medieval Italy is the amazing quantity of large and small towns. Within these towns there might be feuds about the supremacy of families or guilds, but to the world at large fierce pride of one’s own town reigned supreme. Many Italian towns had since the twelfth century or even earlier their own city council which issued laws in the form of statuti. Thus medieval lawyers had already to deal with questions about which law had to be obeyed in case of collision of laws. Albericus de Rosciate (Alberico da Rosate) (around 1290-1360) wrote a long tract De statutis, in early editions also appearing under the title Quaestiones statutorum. At Munich the incunable edition Como 1477 of this work has been digitized. Alberico was preceded by Alberto Gandino (around 1240-1305) , mainly known for his Tractatus de maleficiis edited by Hermann Kantorowicz, but also responsible for quaestiones statutorum written around 1284, published by A. Solmi in the Bibliotheca iuridica medii aevi. Scripta anecdota glossatorum, Augusto Gaudenzi and Giovanni Battista Palmiero (eds.) (3 vol., Bononiae 1888-1903; reprint Torino 1962; Gandinus’ text is in vol. 3, 157-214). The way medieval lawyers dealt with municipal laws is the subject of the great study by Mario Sbriccoli, L’interpretazione dello statuto. Contributo alla storia della funzione di giuristi nell’età comunale (Milano 1969). Sbriccoli was not the first to write about this subject. City guilds and confraternities, too, had their own statutes and ordinances. The Italian historiography on statutes has a long and colorful tradition. Just before Christmas Mike Widener, curator of rare books at the Lilian Goldman Law Library of Yale Law School, blogged about the presentation in Rome on November 23, 2011, of the edition of a manuscript at Yale with the statuti of Montebuono, a town in Rieti, some fifty kilometers north of Rome. Widener gives more details about these fifteenth-century statuti in his post. In 2008 the library of Yale Law School organized an exhibit on early Italian statutes. In the online version of the exhibit you can find a very useful commented overview of editions, bibliographies and online resources. The presentation in November of this year was held at the Biblioteca dello Senato in Rome which undoubted has the largest collection of printed Italian statutes worldwide. You can use a special online catalogue to search its holdings for this field alone. It is difficult but worthwhile to add substantial information to Widener’s 2008 overview. When you search for statuti in the Hathi Trust Digital Library you will find a few dozen digitized editions of municipal statutes, and also some studies. Using the Internet Archive yields roughly estimated the same number of results. The much more user-friendly interface of digitized books held in the Internet Archive – and now also at the Hathi Trust Digital Library – is a major advantage on using the books digitized by the monopolizing firm at its own book subdomain. Avoiding the name of this multinational firm is a kind of running gag here, but it is very much like not choosing spaghetti when literally hundreds of other forms of pasta exist… The German ZVDD finds also some fifty digitized Italian city statutes, but BASE, the Bielefeld Search Engine, does find more. The Karlsruher Virtueller Katalog (Karlsruhe Virtual Catalogue) allows you to search with one search action not only many library catalogues and collective catalogues, but also the ZVDD and BASE. A few websites presenting municipal statutes from Italy not listed by Widener in 2008 can be added here. The Società Pistoiese di Storia Patria has digitized a number of the statuti of Pistoia published by this learned society. You will find there also the edition of regesta, standardized summaries, of charters for several ecclesiastical institutions in this Tuscan town, and an edition of census records. Mario Ascheri and Silvio Pucci have created a website with a searchable database for the Statuta Reipublicae Senensis, the city statutes and the later statutes dello Stato of Siena. Donatella Ciamponi has created a bibliography of medieval municipal statutes in the Siena and Grosseto area. Her bibliography can be found among the digitized materials at the website of the Dipartimento di Storia at the Università degli Studi di Siena. Here I would single out the bibliography of medieval Siena and the edition of statutes of the Lega del Chianti (1384). The website on municipal statutes in the Liguria region of Rodolfo Savelli at Genoa which features also a bibliography on this subject, mentioned by Widener, does point to a project with digitized texts from Pisa. Among them are juridical texts, foremost the Constitutum Legis Pisanae Civitatis. The Società Ligure di Storia Patria has plans to digitize more editions of medieval sources. I mention this website in particular because you will find here links to the websites of many other regional historical societies in Italy. Probably more websites with digitized statutes exist but I have not yet found them at any of the Italian biblioteche pubbliche statali, the main state archives (Archivi di Stato) and city archives. Please do not hesitate to share your knowledge if you know more! In this post I have linked the names of Alberico da Rosate and Alberto Gandino to the website of the publisher of the Dizionario Biografico degli Italiani. This company also publishes an encyclopedia and a vocabulary of the Italian language, useful if you want to study Italian history in any real depth. The article on Alberico da Rosate by Luigi Prosdocimi dates from 1960, but the article on Gandino by Diego Quaglioni was originally published in 1999. Both articles have a comprehensive bibliography. American scholars can benefit from the rich holdings concerning Italian statutes and other juridical books at Yale Law School, at Harvard and at the Law Library of the Library of Congress. In the Netherlands the collection of Eduard Maurits Meijers (1880-1954) contains a number of early editions of Italian municipal statutes, now held at Leiden University Library. In Utrecht, too, you will find some editions of medieval statuti. The Max-Planck-Institut für europäische Rechtsgeschichte in Frankfurt am Main has really rich holdings on the history of medieval law in Italy. Its library should be one of the places to visit before you will find more in Italy. With this post I reach the end of 2011. In 2010 I wrote 35 posts, this year brought nearly 50 posts, almost one post every week. I hope you have enjoyed reading my contributions. Thanks to everyone who sent comments here, by e-mail and even in tweets! This year I have skipped the seasonal post simply because there has been no snow this month. When I decided to correct a few things here I wanted to have a look at another major gateway to digitized information. The results are different from what I had expected. They qualify for a rather long postscript. When you add the Europeana portal to the array of possible gateways to digitized editions you might in principle find a lot of Italian statutes. However, much to my dismay I cannot detect anymore the advanced search mode which enables you to search directly for titles and to narrow your search efficiently. The new search mode is to some extent an English version of the old mnemonic maxim quis, quid, cur, quomodo, ubi, quando, quibus auxiliis: of the Five W’s you will find who, what, when and where. The refine search option is not completely useless, but surely more vague than necessary. By all means it is a setback when the carefully developed way to access information is thrown away without any warning. Fuzzy search or associative search would be more welcome as a second search mode, not as an exclusive way to search information at this portal which prides itself on the huge amounts of content from many corners. Some people will want to cast a wide net, but others have very precise search questions, and both approaches should be equally possible. I would have liked to pass silently over the fact that you will find in a search for Italian statutes at Europeana also results with only the bibliographical data assembled in the EDIT16 project, which is not a digital library, but a bibliographical database. Surely you need to know not just something about bibliography when you search for these old statutes. In a project like Europeana a catalogue is simply not at the same level as access to digitized items, unless you like to swim in an ocean of ill digested information. There is a real need to distinguish between data and meta-data. Luckily Europeana has not deleted the filter function in the search interface. In fact this becomes more important than before. Is Europeana becoming a victim of the old proverb multa sed non multum, a lot of things but not much? The number of subdomains and new branches with interesting initiatives is impressive, as are some results, too, but it seems the core needs all possible care and attention. The Europeana Regia project with digitized medieval manuscripts has no search interface at all, only predefined selections and filters. David Haskiya of the Europeana team sent a comment in which he explains you can still use the search parameters of the advanced search, such as title and creator. User statistics show only a very small percentage of users did use the advanced search interface. A salutary warning not to isolate the text and importance of medieval Italian city statutes is provided by the Atlante della documentazione comunale (secoli XII-XIV), a project under the aegis of Scrineum (Università di Pavia) with online editions of texts concerning the administration and government of several Italian towns. The section on statuti contains only a notice about work in progress. Two months after the second postscript I can add at least one online edition of medieval Italian city statutes, the project Statuti di Vicenza del 1264. The bibliography at this website is not only concerned with city statutes, but also with diplomatics and the technical aspects of digital editions. Patrick Sahle (Universität Köln) mentioned it in his annotated list of scholarly digital editions. Sahle’s list contains also a project for statuti from Grosseto, but alas the link is broken. Mike Widener (Lillian Goldman Library, Yale Law School) has created an inventory of manuscripts with Italian statutes in the holdings of Yale Law School. This entry was posted in Digital editions and tagged Early printed books, Italy, Legal history, Medieval law on December 28, 2011 by rechtsgeschiedenis. When is a new site live: when its makers put a notice on the main page or when they send announcements by e-mail to all and sundry? Or does the life of a new site start when you somehow find it and start visiting it? As it happens I know of two new sites for legal history, Rechtsgeschiedenis.org, a Dutch site primarily for Dutch legal history, and Storia del diritto medievale e moderno, an Italian website with medieval and modern history as the main subjects. I must have detected the Italian website rather early, because it has now received a new and obviously official name, but also a notice “Under construction”. Paolo Alvazzi del Frate (Università Roma Tre) has already two blogs on legal history, on French legal history, Storia giuridica francese – Histoire juridique française, and on Italian law in the modern period. Both have recently received a new outlook. One of their salient features are the very useful link collections. Somehow it is logical that Alvazzi del Frate should have taken the initiative for a new site on Italian legal history. Storia del diritto medievale e moderno shows on its start page an image of the inner court of some official institution: a law faculty, a court of justice? The site proposes to publish news and notices on new publications. There will be a section with essays, articles and texts. Space has been allotted to discussions and to an online forum. The link section is already present. Remarkable are the lists with researchers organized into three ranks, ordinary professors, associated professors and researchers. Tanti auguri per questo sito! The new Dutch site has been developed on behalf of the Foundation for Old Dutch Law which until now had only some basic but useful pages at Maastricht University. Paul Brood and Marie-Charlotte Le Bailly take responsibility for the new website. Rechtsgeschiedenis.org will devotes space to news (Actualiteit). In fact because news items show up here regularly since more than one month, one can consider this at least for a part as a functioning new website. The section on research (Onderzoek) is most promising: here a bibliography is about to appear. Texts, databases, thematic dossiers and links will be added; the link section is as yet the same as on the old pages. Of course the Foundation for Old Dutch Law is present, too, with all the usual information. You can find here for example a set of links to editions of municipal law books edited by this foundation which have been digitized in the wake of the work for the Deutsches Rechtswörterbuch at Heidelberg. Worth mentioning are the journal Pro Memorie and the ongoing series started in 2000 of guides to legal procedure at several Dutch historical courts. Interesting is also the section Annuarium, a space for personal profiles of researchers. “Why is the law as it is? How did it develop? Why don’t we know the trial by jury and lay judges as in other countries? Are there traces of old indigenous law in modern law?” Questions at the start page of Rechtsgeschiedenis.org. Posing these and other questions is one of the reasons for doing legal history. On the new site is also the intention expressed of becoming a new exchange platform for Dutch and Belgian researchers. One can only applaud the proposal and wish this new site a very rich future! the department for Roman law and legal history at Leuven University has a new website. This entry was posted in General and tagged Belgium, Italy, Legal history, Netherlands on December 29, 2010 by rechtsgeschiedenis.